I love a discount. I added to my position this morning. Instead of using this logic, we are seeing something else entirely. Analysts are noticing some equity REITs surrounded by fear and then looking for information to defend their“analysis”. Which in turn, perpetuates the fear that mall REITs are going to somehow cease existing. The “Amazon (AMZN) effect” is weighing on mall REITs. Amazon smashed estimates. Amazon beat on earnings and thoroughly beat on revenues. The growth was heavily influenced by Amazon Web Services and Whole Foods Market. That’s ironic. Amazon saw a strong quarter by owning physical retail stores. Another factor was J.C. Penney (JCP) slashing their outlook. The company adjusted guidance for the year. For the year, guidance for EPS is now $ 0.02 to $ 0.08 instead of $ 0.40 to $ 0.65. After the news, JCP went down 21%. These two factors led the market to drop prices on mall REITs. Perhaps, the big question is what are REITs to do about JCP going down? The answer is simple: replace them. SKT is trading at a mere 9.5x AFFO guidance for the year. SKT maintains a conservative balance sheet which prevents them from having any difficulty with their debts. The dividend yield is nearly 6% and is easily covered by AFFO. The excess AFFO is available for reinvesting into the portfolio or repurchasing shares. In the second quarter, management was actively buying back stock because it is immediately accretive to AFFO per share. SKT has a couple new properties opening up which should increase net operating income and AFFO per share. Following those openings, SKT has relatively few capital expenditures coming up over the next couple of years. This makes it easier for them to grow the dividend and gives them the option of repurchasing stock faster than most REITs. One issue is that websites offer inaccurate information. For analysts who are trying to figure out mortgage REITs and equity REITs, this can be a serious problem. I’ve taken a look at the sites which give out FFO and AFFO numbers in the REIT sector. They are often inaccurate. The test is rather simple. Investors should check the websites calculations to verify that they are accurate. When you do this test and find the numbers don’t match, dig deeper. Check the numbers against the press releases for Realty Income (O), National Retail Properties (NNN), and a few other large REITs. If you find frequent contradictions, that’s a problem. Make sure to insert mall REITs, such as Macerich (MAC), as well since they have more complicated statements due to the impact of JVs. In my view, GAAP creates the problem by not forcing standardized reporting of JV interests on a pro-rata basis. Joint ventures can obfuscate what’s really going on. For instance, NNN is top notch for transparency and accounting quality. It starts to get mixed up when the company has major positions in JVs. Proportional consolidation would fix the problem, but we usually get “one line consolidation” which makes the statements ugly. Assuming the company owns positions in unconsolidated JVs, the depreciation related to those positions does not show up directly in any of the financial statements. To find it, you would need to look for a reconciliation on FFO or NOI. Quite simply, it wouldn’t be possible to correctly automate FFO in these situations unless the tool could pull data that is not in the income statement, balance sheet, cash flows, or changes in shareholder’s equity. This is one of the reasons I find JV accounting so annoying. I really wanted a tool that would work, but without a standardized method that requires all JVs to be reported the same way, it can’t happen. When we go to AFFO, it is critical for an analyst to use judgment on which adjustments are reasonable. I agree with most of the major REITs, but a few of the smaller ones created silly adjusted metrics that were just useless. When looking through a third party’s statements on a company, I suggest checking the actual company’s press release for each quarter. I think SKT is still at attractive prices and the same goes for Simon Property Group (SPG). I would be interested in buying some MAC, but the price came back up materially over the last few weeks. I would prefer to align my portfolio more defensively given the high valuation on domestic equity markets. Credit spreads on rated bonds are also absurdly thin. The entire situation encourages me to be more defensive. However, I see quite a few Mall REITs trading around 30% to 70% of their net asset value per share. Some of those REITs are running high quality properties. I wouldn’t mind being part of a group purchasing the physical real estate. The stock price will fluctuate much more, but I get great liquidity and a huge discount on buying in. I’ve become accustomed to spinning through reconciliations and knowing what adjustments to keep or throw out. It took a while and a significant amount of time spent looking through both good and bad REITs to reach a conclusion. In my opinion, if you want to see an example of where lots of adjustments are garbage, look at Wheeler (WHLR). If you go back in time to Q2 2016, the Resource Capital Corporation (RSO) adjustments under old management were hilarious since it was an mREIT trying to use equity REIT adjustments. RSO’s adjustments under new management are reasonable. O and NNN are always great. 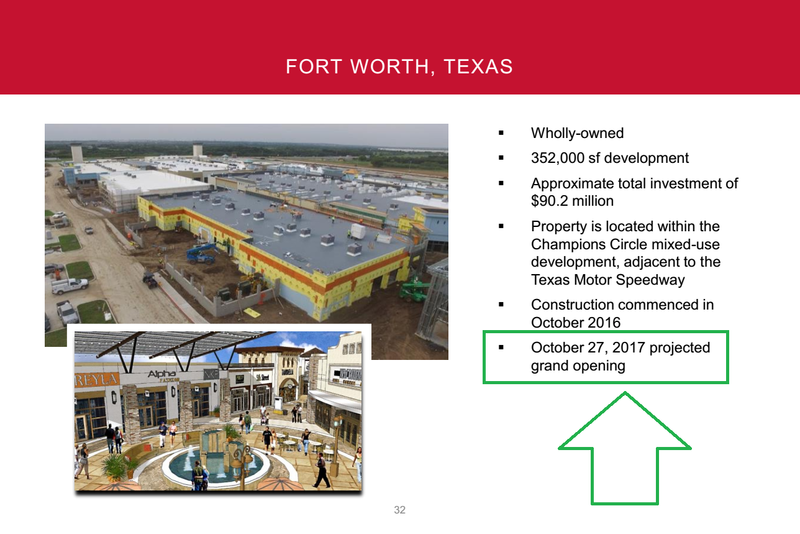 SPG is very high quality for a mall REIT while attempting to tackle the JV issue, but they have JVs and own a huge stake in a European mall REIT. Mall REITs have become out of favor. The current prices aren’t built around fundamentals or guidance. The prices are built around fear of malls dying. They will not die. The space the malls currently own definitely will not die. Whatever the better malls transition into will continue to use the space they own. I’m going to stake my money against the market’s fear by owning several mall REITs. I started buying in earlier this summer and will be adding more as I find great values. Often it is great values on great companies. I do believe the sector is largely undervalued. However, I would not invest using an index. I have enough capital to diversify and can research each stock separately to ensure I am buying exactly what I want at the price I want to pay. Using an index works for investors who want the extra diversification, but for the ideal entry price, I would much rather pick individually. If prices keep going down, I have the capital and stomach to buy more. 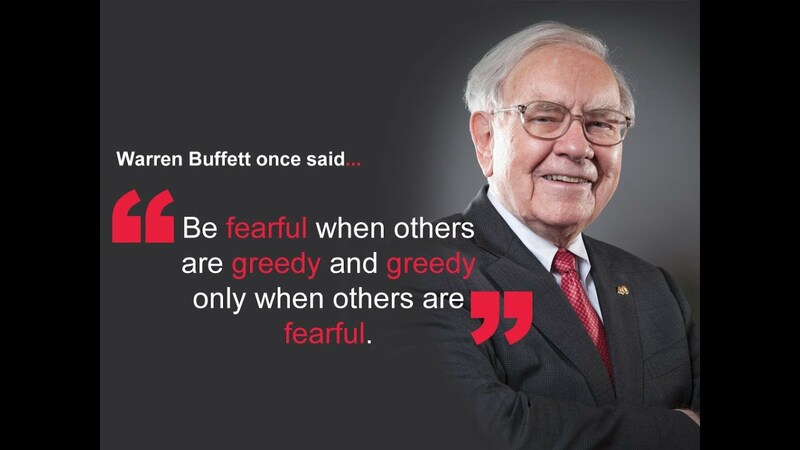 Remember, when others are fearful… perhaps it is time to be greedy. Disclosure: I am/we are long SPG, SKT. Additional disclosure: No financial advice. Investors are expected to do their own due diligence and consult with a professional who knows their objectives and constraints. CWMF actively trades in preferred shares and may buy or sell anything in the sector without prior notice. Tipranks: Buy SKT. Super voting rights are a concern. When data center operator Switch goes public on Friday it will be the latest tech firm using special shares to limit the rights of minority investors, making it ineligible for inclusion in the S&P 500 under new rules meant to deter such practices. The Las Vegas company, run by enigmatic founder and CEO Rob Roy, plans to sell 31.3 million shares in an initial public offer late on Thursday for between $ 14 and $ 16 a piece, which would raise nearly $ 500 million and make it the largest technology listing this year after Snap. Underwriters closed their order book late on Wednesday and the deal was oversubscribed, according to a source close to the IPO. Roy, who describes himself as an “inventrepreneur” and “tech futurist,” will have 68% of voting power following the IPO, thanks to a special share class providing 10 votes per share. That will keep Switch out of the S&P 500 and other related indexes under new rules instituted by S&P Dow Jones in July after Snap sold shares without any voting rights in its $ 3.4 billion IPO earlier this year. Rule changes enacted last month for FTSE Russell indexes, also in reaction to Snap, require new constituents of its indexes to have at least 5% of their voting rights in the hands of public shareholders. The shares being sold in Switch’s IPO will include 4.9% of the company’s voting rights, or 5.6% if underwriters exercise an option to buy additional shares. A company spokesman declined to provide additional information about Roy, and he does not appear in a 38-minute video marketing the IPO. The IPO could value Switch, which operates three data centers in Michigan and Nevada, at almost $ 4 billion. Snap co-founder Evan Spiegel was well known to Wall Street ahead of the Snapchat-owner’s February share offer, with many investors essentially betting on his talent. With Roy less known, investors may be taking a greater risk on a company in which they will have little say. “Investors do look at voting control as well as the price you pay. If you put so much stock in the CEO, normally he’s going to part of the sales pitch for the company,” said Ken Bertsch, Executive Director of the Council of Institutional Investors, which represents top U.S. pension funds. As many of 15% of U.S. IPOs in recent years have used dual share classes meant to give insiders outsized voting rights, according to the Council of Institutional Investors. Inclusion in a stock index can be an important milestone for young companies, bringing their shares into many passive funds and others that closely follow indexes like the S&P 500, a guide for trillions of dollars of capital worldwide. Other companies excluded from major indexes under their new rules include video-streaming company Roku Inc, whose IPO last week kept 97% of voting power with insiders. Software seller Mulesoft’s IPO in February included a share class with 10 votes per share, as did Blue Apron in its June debut. Suggesting that the tide may be turning toward sharing power with minority investors, privately-held ride-hailing company Uber on Tuesday said it would abandon a dual share class system that favored insiders including former CEO Travis Kalanick. Responding to a shareholder lawsuit, Facebook Inc in September gave up plans for a new class of stock that was meant to be a way for Mark Zuckerberg to retain control over the company he founded while fulfilling a pledge to give away his wealth. I take a lot of pride in the fact that my portfolio has never experienced a dividend cut. I came close once with KMI, but I managed to sell the position before the cut was announced. I spend a lot of my time during the due diligence process focusing on dividend-related metrics with a specific focus on sustainability and dividend growth prospects. Well, I just put that perfect record at risk with a purchase of Uniti Group (UNIT) shares at $ 15.01, or a very hefty 15.98% yield. This ~16% yield is nearly double my previously high yield, which was Omega Healthcare Inc (OHI) at just a tad bit more than 8%. Typically, when I see yields in the double digits, I get nervous. Yields that high mean the asset is distressed. When looking at stocks like UNIT investors are receiving a very high potential reward for exposing themselves to a very high perceived risk. I’m not a huge fan of making these risky bets. But, I’ve spent a lot of time reading articles and commentary about UNIT published over the last couple of weeks focused on the company’s enormous ~40% fall since the start of August. I’ve read enough bullish commentary to get me interested in the stock, especially from contributors here at Seeking Alpha that I’ve come to respect over the years. Honestly, I think this company’s recent drama has been exhausted by the Seeking Alpha community and I don’t have anything new to add to the conversation other than the fact that I am now long the stock. I like to keep followers up to date on my recent portfolio maneuvers though, so I wanted to write this piece. However, instead of re-hash the pros and cons of UNIT ownership here, I will link you to some of my favorite articles recently published regarding UNIT. My absolute favorite REIT contributor here at Seeking Alpha is Brad Thomas. Mr. Thomas has led me to highly profitable investment decisions on several occasions. I respect his opinion in the REIT space above all others. In late August/early September, he published two bullish pieces on UNIT (when shares were trading at levels much higher than they are today). One of them remains behind SA’s Marketplace paywall, but another is free to the public. 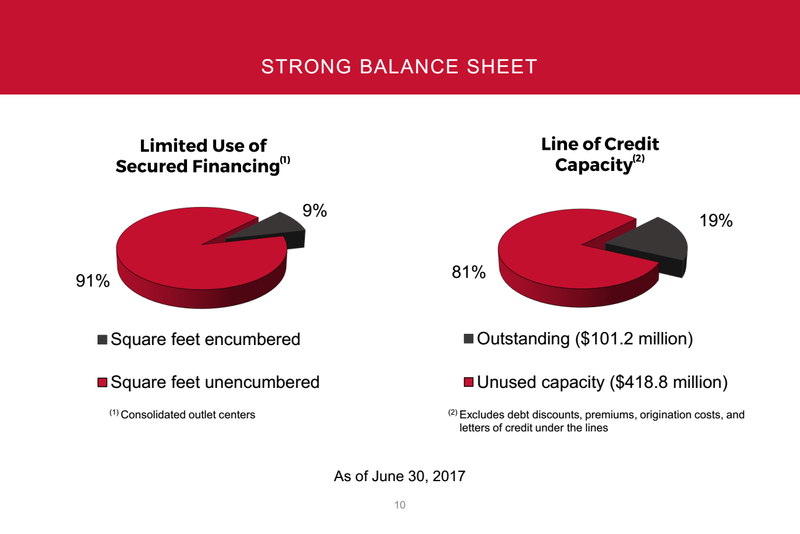 Here’s a link to Mr. Thomas’s most recent UNIT piece which includes an informative interview with UNIT’s CEO Kenny Gunderson and a reiteration of Mr. Thomas’ “BUY” rating on shares post Q2 results. Another UNIT piece that really caught my eye was Dividend Sensei’s recent article explaining why he’s adding to his UNIT stake, making it his largest individual position. I really like Dividend Sensei’s work here at SA. He puts together a very in-depth analysis that is also easy to understand. I admit that I am much more risk-averse than he seems to be. He trades with margin and oftentimes seeks much higher yields than I do. I would never allow a company like UNIT to become my largest holding. Actually, I don’t imagine a future where UNIT ever makes up more than 1% of my overall portfolio (right now, it’s weighting is ~0.375%). Even so, I oftentimes find is opinions to be more than reasonable and while our portfolio management strategies aren’t the same (which is to be expected because no two people are in the same situation when it comes to personal finance and long-term financial goals), I still respect his opinion immensely. I’ll talk more about this piece in a bit, but Ian Bezek’s recent article on the matter was valuable to me as well, especially in terms of trying to put this company’s potential risks into perspective against what seems to be an overly bullish consensus amongst SA contributors and readers, mainly, I think, because of UNIT’s incredibly high yield. Ian is long UNIT, although as of his latest piece, he hadn’t added to his position on more recent weakness. I think Ian has a keen eye for value and the fact that he too was long, played a role in my decision-making. Alpha Gen Capital wrote a particularly bullish piece, hinting at the fact that UNIT could be one of the year’s best opportunities due to recent overreactions in the share price movement. This piece really breaks down the issues that UNIT is facing with WIN, some of the potential fallouts of legal/bankruptcy scenarios. All of this is very confusing and remains highly speculative, though my main takeaway is that it appears likely that, regardless of a WIN bankruptcy, UNIT will still be in a position of strength due to the Master Lease arrangement it has with WIN. Lease re-negotiation still appears to be a possible scenario here, which would change the landscape that UNIT operates in the present, but for the time being, I’m willing to trust in the payments from the Master Lease deal and rely on the strength of UNIT’s infrastructure, which should remain in demand moving forward. And most recently, Beyond Saving and Dane Bowler have written pieces regarding the breaking news that broke this week surrounding more legal/head fund issues regarding WIN bonds defaulting. The comment streams following all of these pieces have been enlightening. There are bulls and bears on either side of the aisle, but I was pleasantly surprised to see that another one of my favorite SA REIT contributors, Bill Stoller, recently went long UNIT as well. As far as I know, Mr. Stroller hasn’t published an article focused on UNIT, but I’ve seen him make enough solid calls in the past to give weight to his recent purchase in my own decision-making process. So, there you have it. This is a unique situation for me, investing in a speculative income play like this. I may not like to take big risks like this, but I have always said that I like to buy things when they’re cheap. At this point, I admit that UNIT could just as easily turn out to be a value trap as it could a tremendous value. 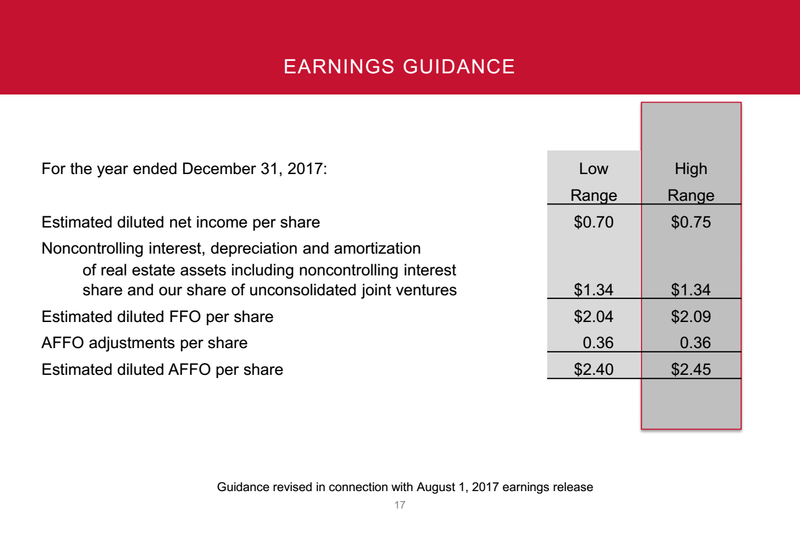 Looking at the value of the company’s assets and its cash flow potential, I see validity in calls that have price targets in the $ 35-40 range. That would imply massive upside at today’s prices. Due to issues that UNIT faces with its over-reliance on distressed Windstream (WIN), I don’t foresee UNIT selling anywhere near the fair value of its parts anytime soon though, so their estimates really amount to a hill of beans. There are so many rumors and potentially headwinds swirling around this stock that I think it’s nearly impossible to predict its future share price movements. 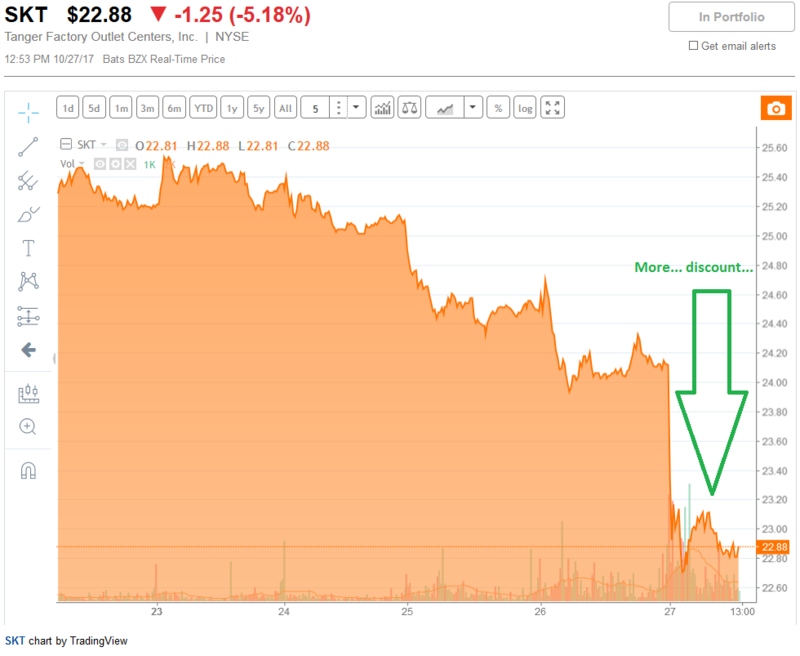 I wouldn’t be surprised to see a short squeeze that sends the stock rocketing up to $ 20 or more tomorrow. I also wouldn’t be surprised to continued pressure on shares, sending them down into the single digits. I won’t attempt to signal any sort of direction of these shares; simply put, I acknowledge that I am speculating here. This is why I bought a relatively small, ¼ position. I bought these shares because of the combined upside potential of the shares in a turnaround as well as the very high ~16% dividend yield. 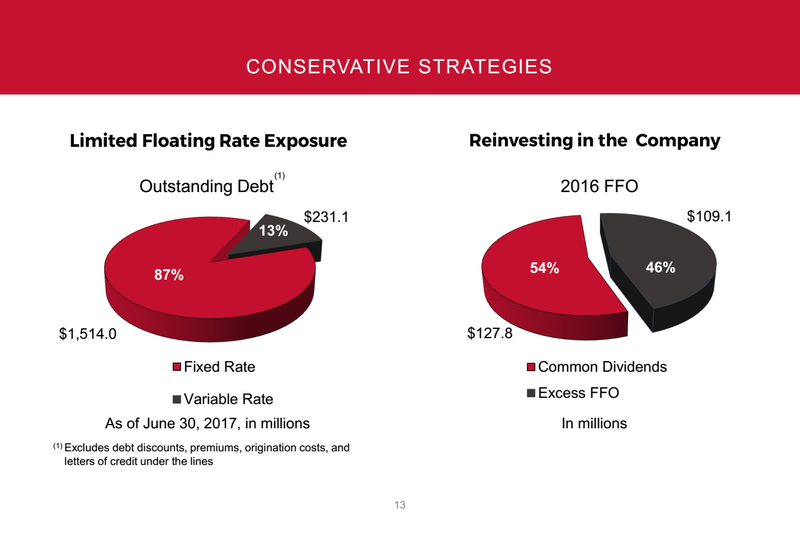 Right now, it appears that UNIT’s dividend is covered by AFFO, which management expects to come in somewhere in the $ 2.50 range in 2017. This is a good thing. However, as discussed at length in this article by Ian Bezek, a dividend cut may still be in the cards because without one, it will be very difficult for UNIT to raise cash. UNIT needs to raise cash over time to continue to diversify itself away from WIN. Right now, WIN makes up ~70% of the company’s business. Management has stated plans to get this ratio down to ~50% in the short-term; however, this transformation will require additional acquisitions and I think it’s ludicrous to think that UNIT management will be able to find investments with cap rates that exceed its current dividend yield. Because of this scenario, one could argue that a dividend cut for UNIT would actually be a good thing for the long-term. It might enable it to continue to diversify away from WIN exposure and grow its asset base. Michael Boyd wrote an article focused on this possibility today. This general point was that a distribution cut for UNIT is the right move for management to make. Once again, in the comment section, there are members on both sides of the fence of this issue. There are many question marks when it comes to UNIT in the present, but the one thing that is clear is that the company’s 16% has surely caught the eye on SA’s dividend and income community. My portfolio’s rule regarding dividend cuts is cut and dry. A cut equals a sell, without exception. Well, being that an investment in UNIT breaks just about half of my stock screening rules anyway, I will be in wait and see mode if UNIT should slash its dividend. This is a small enough position for me that in the event of sudden weakness, it won’t do significant damage to my portfolio’s overall returns. On the flip side of this coin, UNIT’s yield is high enough to move the needle a bit in terms of my annual income expectations. Due to its extremely high yield, this ¼ position in UNIT is currently scheduled to generate the same amount of income as a typical full position with a “normal” yield for my portfolio would over a year in just a couple of quarters (my portfolio’s overall yield is just a tad above 2%). Investing in distressed assets has led to riches for investors throughout the history. It has also lead to ruins. I’m not saying that I’m smart enough to pick and choose the winners, but I have seen enough bullish opinions from well-respected analysts/contributors to inspire me to make a small bet on UNIT. I don’t think these shares are for the faint of heart. There are so many rumors flying around regarding WIN that attempting to trade in and out of UNIT on a daily basis seems to be a fool’s errand as well. I plan on stashing the small position of UNIT shares that I bought at $ 15 away and accepting the income that they generate for my portfolio, whatever that may be. I bought one day before UNIT went ex-dividend, meaning that I’ve already captured one $ 0.60 payment. I don’t know how many more investors can expect at this level, but if management is able to maintain the dividend, I expect to do quite well here. Although I realize that I may end up having to stay in this name for awhile depending on what happens moving forward, I don’t think this is a buy and forget type of stock. It’s both a speculative income play as well as a turnaround play. If it turns around, I think it will turn around quickly. I will continue to monitor the business and management’s attempt at diversifying its customer base. If management cuts the dividend I’m sure the share price will suffer and at that point I’ll be in it for the long-haul, hoping for a Kinder Morgan-like recovery post dividend cut. If the market receives better than expected news out of WIN and UNIT bounces drastically, I will be happy to sell my shares, taking my profits large short-term profits (these shares are held in a tax-advantaged account so that I don’t pay taxes on that hefty dividend). Disclosure: I am/we are long UNIT, OHI.